Thanks Delta for flying Champions – Delta Air Lines, Inc. This Sunday is the year’s biggest game in professional football! But how did all those players get to Houston, Texas this week? Delta Air Lines of course! 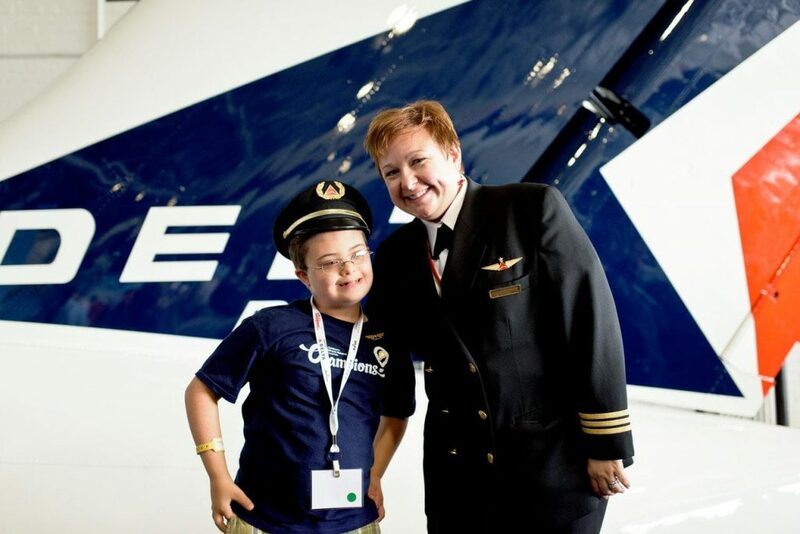 Here at Children’s Miracle Network Hospitals, we know that Delta has a long history and years of experience flying Champions–both on and off the field. As a presenting sponsor of our Champions program and supporter of Miracle Kids since 1997, Delta has delivered our Champions to locations across America and helped thousands of miracles take flight. It’s good to know that all the players of Sunday’s big game are in good hands with Delta. Pennsylvania Champion Caden, who was born with Down syndrome, represents Penn State Hershey Children’s Hospital.